A 2005 Tax Foundation study on the cost of complying with our incredibly complex tax code estimated that individuals, businesses and nonprofits would spend an estimated 6 billion hours complying with the federal income tax code and an estimated compliance cost of over $265.1 billion. 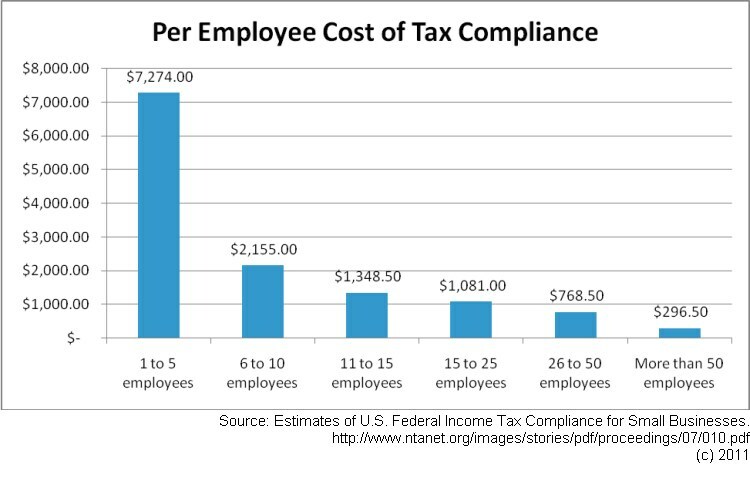 The compliance cost is an estimate based on the time spent on tax preparation valued at the compensation rate of the filer or his tax professional. 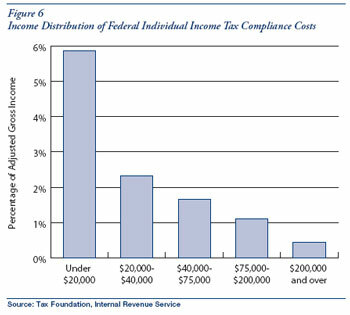 This represents about 22% of federal income taxes and is equivalent to more than half the revenue of Wal-Mart. The time spent working on taxes is equivalent to a workforce of 2.8 million workers, which is about the same as the number of soldiers, sailors and airmen in the US military on active duty and in the reserves. Essentially, our tax code has created the equivalent of a large second army that has been fighting a costly war for longer than any other war in American history. And the costs have been increasing. You can think of the IRS and its workforce as the equivalent of the Pentagon, which provides direction and control of the army. The accountants, tax attorneys, and other tax professionals are the junior officers, NCOs and regular soldiers following orders and participating in the tax battles and skirmishes that take place all year long. 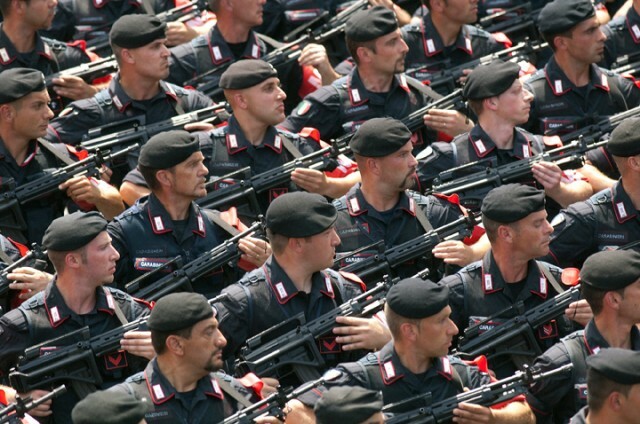 The rest of us, small business owners and individual taxpayers, are the part-time reserves and militia providing part-time service when the tax army mobilizes for its annual spring offensive every April. In monetary terms, for every dollar in taxes you pay, the equivalent of 22 cents is wasted. 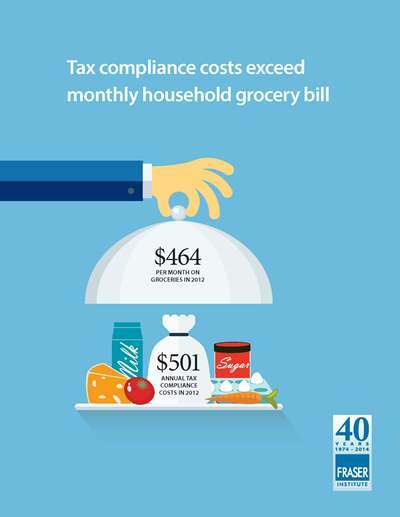 These costs do not even include the additional costs of tax planning, tax audits and litigation. This burden falls more heavily on small businesses and individuals who earn the lowest amount of income when measured as a percentage of their income. This is because they file most of the tax returns. Larger corporations and wealthier individuals may have higher compliance costs, but they also earn more, so it is a lower fraction of what they earn. Therefore, tax simplification would most help those who pay the least in taxes. Nobel Laureate economist Gary Becker provides an excellent overview of the economics of tax complexity. The Tax Foundation study estimates costs based on the value of your time. Certainly, your time, or the money you spend having someone else prepare your taxes, has value. But how does that compare with more concrete costs? For reference, the 2013 budget request for the IRS is $12.9 billion. Intuit, maker of Turbotax and other accounting software and services, earned $4.15 billion in 2012. H&R Block, a large tax preparation company, earned $3.04 billion in 2012. These are certainly a lot less than the tax compliance cost estimates above, but also do not take into account other costs. The actual cost of salaries, equipment, or software paid for in-house accountants or attorneys who work on tax-related recordkeeping or preparation is unknown. According to the US Bureau of Labor Statistics, average annual employment in tax preparation services was 113,000 in 2009, but this excludes Certified Public Accountants and companies that provide accounting, bookkeeping, billing, or payroll processing services in addition to tax preparation services. The above occupations account for over 4 million jobs and $233 billion in salaries. While only a fraction of the people in some of these occupations work on tax planning and preparation, the direct economic cost of tax preparation and management, including private and government salaries, equipment, software, and other expenses, but not counting the cost of your time, has got to at least be in the tens of billions, if not much, much more. Of the 140 million individuals and families who file tax returns each year in America, 60% pay someone else to fill out forms for them, while 29% buy tax-preparation software or online services. It is possible that automated electronic tax preparation and filing software has and will continue to reduce tax preparation costs for small businesses and individuals. However, tax complexity still requires more time spent on tax preparation and planning that would otherwise be necessary. How many of you dread the process of filing a tax return and worry about paying too much because you didn’t know about some special deductions you might have been able to take advantage of? It is extremely likely that many people do not take advantage of legal deductions. Research by the Government Accountability Office and Internal Revenue Service indicates that between 15% and 25% of households who are entitled to the Earned Income Tax Credit do not even claim their credit, or between 3.5 million and 7 million households. Simultaneously, others are able to fraudulently claim a credit. Another side effect of tax system complexity is an increased ability to evade taxes through use of loopholes. The more complex the system, the harder it becomes to detect fraud or the more it costs to monitor tax returns and other tax-reporting data. 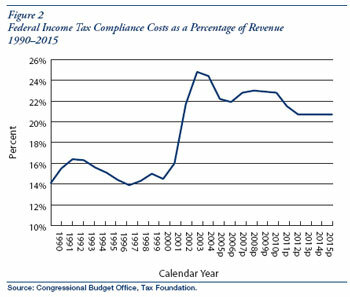 Is there a way to reduce these tax compliance costs and put the money back to productive use? Of course, but special interests will fight it every step of the way because everyone is looking out for their own self interest. Most of the lobbying comes from large businesses and tax-exempt charities. So, it makes sense to take them completely out of the equation by eliminating all income taxes on organizations and passing through all taxes to the individuals who earn the profits. If large organizations have no interest in the tax code, they will not try and influence legislators to give them special exemptions. This will help stop the practice of using the tax code as a system for rewarding those who are able to convince legislators to give them special benefits. After all, large organizations are just collections of individuals who are the ultimate beneficiaries of any profits they earn. Corporate taxes are just taxes that could be passed through to individual investors, where they can be taxed at their appropriate rate, without all the corporate tax manipulation. Automation will also help to reduce compliance costs as well as tax evasion. Sales taxes are fairly well automated, although elimination of all sales tax exemptions would make it even more so. Tax-exempt charities will have to pay sales taxes. An agreement between states to resolve the issue of inter-state sales taxes would eliminate the complexity of sales versus use taxes and provide businesses with a simpler way of collecting and reporting sales taxes. For instance, everyone should pay either an in-state sales tax or a flat inter-state sales tax. I know this sounds like just another tax, but the objective is to reduce overall rates, not to generate more revenue. The inter-state tax could be distributed to the states according to where the purchasers reside, thus effectively enforcing the “use taxes” that most states have on the books but cannot currently enforce. Overall, the result will not be an increase or decrease in tax rates, but a more efficient system that will reduce the burden on businesses and end the inter-state fights over sales and use taxes. The payroll tax is already a highly automated method for collecting income taxes. However, better automation of all forms of income, including automatic withholding of investment income, would help to make automatic year-end calculation of income taxes possible. If income tax calculation were simple enough to be automatic at the end of the year, the cost of tax compliance would plummet. What about income from cash transactions? We know that cash-based businesses are notorious for under-reporting income. We can’t just eliminate cash, even though there are other fringe benefits. Studies show that paper money is costly to produce and also tends to carry bacteria that can make you sick. The growing use of electronic payments is already quickly reducing the number of cash transactions. We could further encourage this trend by providing tax benefits to anyone who uses such forms of payment. For instance, electronic transaction networks could be required to collect, report, and deposit all sales and use taxes. This would help businesses by automating and eliminating their sales tax-collection burden. At the end of each month, the amount of sales tax paid could be automatically applied to each individual’s income tax withholding as a deduction. If they are in a low-income bracket, they will finally gain a benefit that high-income earners normally get when they itemize deductions. Those who end up with a credit could opt to have it deposited into an investment account or receive an automatic electronic refund. Any other remaining expenses that are tax deductible, such as home mortgage interest and refinancing costs, or state and local taxes, should be automatically credited to an individual or joint tax account, with excess payments invested or refunded monthly. Any other forms of investment income should, similarly, be collected automatically and invested or refunded monthly. At the end of the year, a simple income tax calculation will be automatic. This kind of automation and simplification is desperately needed. Special interests will fight it because they only care about themselves, but the overall effect will be to lower average rates by eliminating loopholes, tax evasion and tax compliance costs. Will it be fair? There is no such thing, so let’s stop talking about fair and start talking about what is efficient, reasonable, and transparent enough that people finally know what they are paying in comparison to everyone else. Putting wasted assets to more productive use will make America stronger and more competitive with the rest of the world. Higher standards of living come from increases in productivity and are dragged down by waste and inefficiency. We are capable of amazing technical feats, so I’m confident we can design a simple, efficient, progressive tax system that will take more from the wealthy, but not enough to reduce the incentive to produce or to take extraordinary measures to avoid or evade taxes. Imagine if we could redirect some of the billions of dollars in annual compliance costs to pay down the national debt? Is that worth your vote? Does anyone in government have the guts to push for a revolutionary simplified tax system that can achieve this goal? I don’t want to end this with nothing to show for it but a bunch of useless complaining. What is the point of complaining about something if you don’t have something better in mind? So, here are a few simple, yet revolutionary, recommendations on how to rebalance the tax system and thereby our economic and political system. Politics is all about money and power, so let’s start by talking about where our tax money comes from. It might not be what everyone agrees is fair, but at least it will be simple, transparent, and efficient, without a lot of waste or hidden loopholes. I don’t really believe there will ever be such a thing as a “fair” tax code, but if there were, this would be a big leap in that direction. It’s time to stop fighting a tax war and demobilize the tax army. 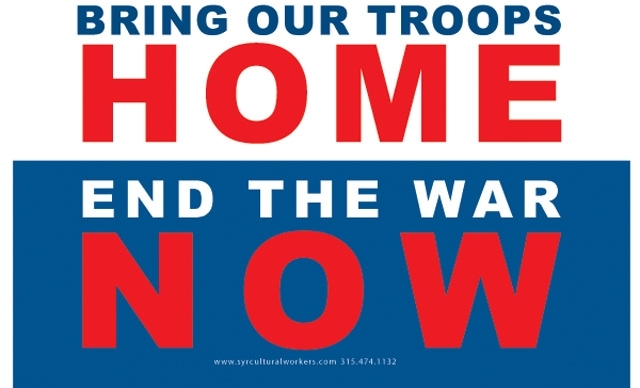 Support our tax troops by bringing them home! What will all those IRS workers, tax accountants, tax attorneys and other full-time tax professionals do when they lose their jobs in the tax army? How about a new GI Bill to get them into new and productive jobs that will make our country even stronger! Bring the Tax Army Home! This entry was posted in Economics, Government, Taxes and tagged tax army, tax compliance on April 24, 2015 by EarthVisitor. In 2012, a Florida state task force on education recommended adjusting tuition by major. Science, technology, engineering and math (STEM) majors would cost less, while some majors, such as psychology and the performing arts, would cost more. This recommendation has not been implemented, but here is the basic idea. Kevin Stange, a professor of public policy at the University of Michigan, studies the outcomes of differential tuition and has found that higher prices tend to dissuade students from pursuing a particular major. The generally accepted consensus is that a $1,000 change in costs is associated with a 5 percentage point difference in enrollment rates. A study from Hanover Research found that for every $100 increase in tuition, enrollment decreased by 0.5% to 1%. Sounds reasonable, no? It is good to consider the value of an education and treat it like an investment, because that is partly what it is–an investment in one’s future earnings potential. But people also have to live with their choice of employment and can’t just choose a path for its simple economic return. Unfortunately, pricing tuition by major is a centralized government solution that, like most government solutions, probably will not work out as expected. This is because the actual cost of providing educational services may be more or less than the artificially determined price and because any time that bureaucrats are allowed to determine the cost or benefit of a product without any market input, they typically fail miserably. Instead of increasing tuition across the board, many universities now charge more for majors with courses that are more costly to provide. Degrees in biology and engineering, for example, typically involve smaller class sizes, higher faculty salaries and cutting-edge labs with expensive equipment, so they charge more. Today, 45% of large public research universities differentiate their pricing this way. At the University of Texas at Austin, which started charging different tuition rates in 2004, engineering students pay $5,107 each semester, while liberal-arts majors pay $4,673. This is a market-based solution that makes sense. Sure, a technical education may be worth more in earnings power, but it can also cost more to provide. If the cost of a technical education is artificially lowered, while liberal arts majors are artificially raised, people will object to their representatives to stop the policy. But even more importantly, students will vote with their dollars. They will simply attend schools in other states where the tuition is lower. 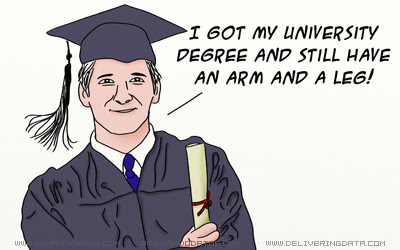 Besides, do we really trust the government to decide what majors are best? When has the government ever made good economic decisions for us? It will be highly subjective to adjust the cost of different majors based on their perceived value to each state government. Determining the market value of a course of study is something best done by the market, not by the government. This means allowing the market to finance an education based on cost, risk, and expected return. Thinking about the value of an education is a concept that is going in the right direction, but I think it would be better to treat educational expenses like the investments they are. How about financing educational expenses based on the expected return on investment over the first 10 years or so or their working life? For instance, if a degree is projected to net one student an average salary of $70K per year, while another student is projected to net only $35K per year, the first student might be offered up to double the amount of money in tuition loans or scholarships over the same payback period. Furthermore, it is likely that the risk the loan would not be repaid can be correlated with high school grades and college assessment scores (e.g. SAT or ACT scores). 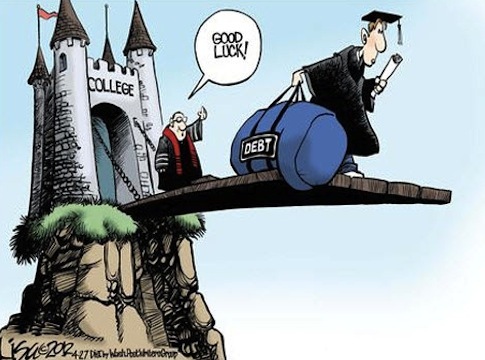 If banks were to make investment decisions on a per student basis, this would directly link the value and cost of the education and thereby influence the educational decisions that students make without any need for government interference. If I have stellar grades and SAT scores and choose to pursue a high-paying major, I would have the opportunity to borrow more and/or to borrow it at a lower rate of interest because my risk and return factors lower the investment risk. Maybe I could then afford a higher-cost technical bachelor’s degree plus a masters degree on top. On the other hand, if I have low grades and SAT scores and choose to pursue a low-paying major, I would have great difficulty borrowing enough to cover my costs for just a bachelor’s degree or would have to pay a higher rate of interest. Like mortgage applicants with low scores, I might have to pay 20-30% of the tuition costs out of pocket first (or use grant or scholarship money) before I receive any financing. An education that results in lower financial returns might be more expensive, but it might not. If I have great qualifications (e.g. grades and scores), I might be able to finance it over a longer term at an affordable rate. Lower-paying majors should not necessarily cost more than higher-paying ones. Maybe they actually cost less to provide. But, in the end, somebody has to bear the financing risk. It makes sense that students should bear most, or at least a significant amount, of this risk, but I think we still want to enable people to pursue an education for reasons other than pure financial return. This is America and we want people to have the freedom to pursue happiness, but not at the expense of everyone else. I think we benefit as a society from a broadly educated and diverse population. So, maybe we need a better balance between publicly-funded and privately-funded education costs. Adding more responsibility to the financing of an education would limit public exposure to bad investments by lowering losses on student loans that don’t pay off for investors. Considering that the government is often the investor, this will result in a better value for the taxpayers and for the nation as a whole. But why do all degrees have to cost so much? Student debt is at all-time highs, even for those who choose majors that will not generate enough income to pay off their huge loans. Maybe some education programs could be structured for completion in less time–say three years instead of four. Some schools seem to be trying to extend degree programs to five years rather than shorten them, which might be the opposite of what we really need. Does an art major need as much time as a physics major to achieve competency? Why should everyone need the same amount of time to achieve proficiency in completely different courses of study? All doctors need to attend medical school, but does a brain surgeon require the same amount of study and preparation as a gynecologist? I actually don’t know the answer, but I suspect that the amount of preparation time is not equal and we should not expect it to be. I certainly would not want anyone messing with my brain if he didn’t spend a lot of time practicing and preparing, and I don’t mean playing the game Operation. I have no problem with people who want to pursue lower-paying careers, or even pursuing education for the hell of it. Stay in school forever if you want. Just don’t expect me to pay for it. I just want students to be primarily responsible for evaluating the cost and value of an education and to be able to make an appropriate decision. This entry was posted in Economics, Government and tagged differential tuition, student debt, tuition costs on February 6, 2015 by EarthVisitor. Americans have always enjoyed the freedom to travel without restrictions within the country and, for the most part, abroad. No, we still can’t travel to Cuba on vacation, only for business. How this makes any sense, I don’t know. The embargo against Cuba, enacted in 1960, was the result of a federal temper tantrum resulting from our humiliating inability to overthrow Fidel Castro’s communist regime sitting just miles from the US coast. I would think we’d be over it by now, considering how Americans can travel to just about any other crappy dictatorship on the planet. But that’s another story. This one is the flip side to my Pay to Stay idea for dealing with illegal immigrants. 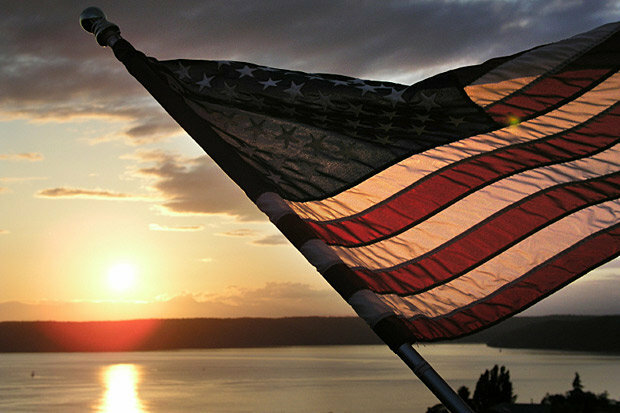 Our freedom to life, liberty, and the pursuit of happiness usually comes without a price tag. Well, that is, aside from the cost of national defense and the loss of life required to defend it. We are even free to vote, thanks to the Voting Rights Act, without having to pay any kind of poll tax or anything else that smacks of a tax–even an ID card. You would think, therefore, that we would also be free to leave the country without having to pay a tax. After all, taxes are financial barriers that can stop people dead in their tracks. If you can’t afford to pay a tax, your rights are effectively limited. 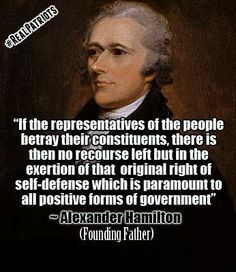 This is one reason why it is so important that our founding fathers prohibited taxes on interstate commerce, thus ensuring free trade throughout the country. But are we really free leave the country? As long as you plan to come back, sure, but if you renounce your citizenship and try to leave for good, sorry but no, you can’t. 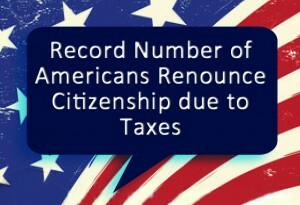 American citizens who give up their citizenship may have to pay an exit tax, depending on the amount of their assets. Green card holders (lawful resident non-citizens) also have to pay an expatriation tax. If you are a U.S. citizen or long-term resident who expatriated on or after June 17, 2008, the tax law treats you as having sold all of your worldwide property for its fair market value the day before you leave. 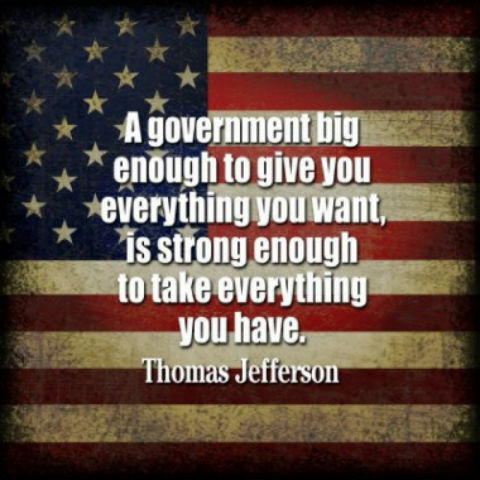 Even if you don’t sell your assets, the IRS will tax you on what you would have gotten if you had sold everything. This, of course, is based on a complicated process that requires appraisals and additional out of pocket costs. If the theoretical gains add up to more than $651,000, it is subject to U.S. tax at the capital gains rate. I guess we could call this the “kick in the pants on your way out” tax. I guess the idea is that we have to allow you to leave, but you can’t take everything with you. That doesn’t sound quite right to me. For wealthy Americans with dual citizenship, however, it is a small price to pay to avoid the estate tax that will drastically impact their heirs. Obviously these taxes are not very well known since not many Americans give up their citizenship and move out of the country. 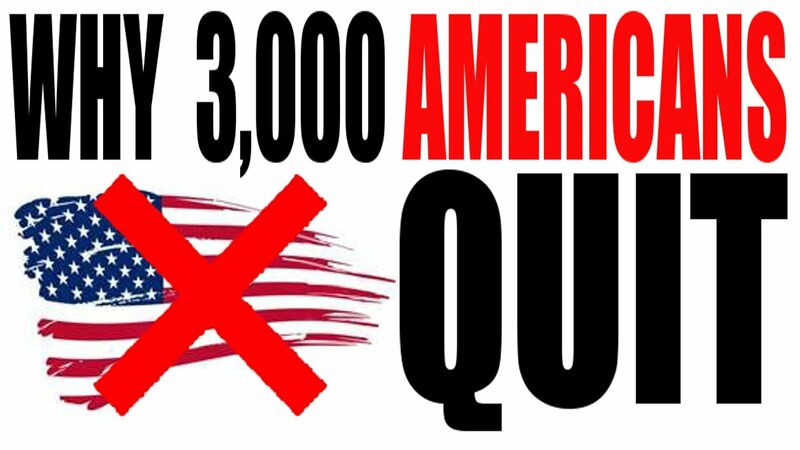 But the first quarter of 2013 saw 670 Americans to date doing just that. This is the largest number since the IRS began publishing figures in 1998. Isabel Getty, daughter and heir to the Getty oil fortune, and Eduardo Saverin, Facebook co-founder, are some of the latest ex-Americans. What does the IRS have to do with citizenship? They are the ones to tax you on the way out, of course. It seems that the leading reasons for giving up US citizenship are US tax laws, including the estate tax and the taxation of worldwide income instead of just income that is earned within the US. The US is the only industrialized country in the world that imposes taxes based on citizenship, meaning worldwide income and assets. Of course, they don’t get double taxed by countries that have a tax treaty with us, so it isn’t as bad as it might seem. The IRS has been on a witch hunt to find Americans who earn money overseas and do not declare it, so some wealthy individuals who have dual citizenship or spend a lot of time overseas are just deciding that it isn’t worth the cost to continue to be an American. I know what you are thinking, good riddance, right? Why shouldn’t they pay their fair share just like the rest of us in order to enjoy the benefits of citizenship? Good point. But wealthy citizens already pay far more than the average American and, when you already live overseas or are faced with the prospect of paying millions of dollars you otherwise don’t have to, the benefits of citizenship can start to fade. Do we really want to be the country that penalizes its’ most successful and wealthy citizens or do we want them to move to other countries that will not impose onerous taxes? I do believe that the wealthy can afford to pay more and that our country benefits from the use of progressive taxation, but there has got to be a reasonable limit. Some countries, like Canada, will not even let you in unless you have a million dollars in the bank or highly employable skills. The United States will let just about anybody in but will tax the wealthy on the way out. Obviously, this is of no relevance to 99.9% of the country, because most of us don’t plan to leave and even if we did, there wouldn’t be much to tax. Why Congress has bothered to even impose excessive personal taxes on foreign earned income, but continues to exempt multinational business income that is not brought back into the US, I don’t know. We’d be much better off focusing on the non-paying people right here in the country who are currently getting a free ride. So, let’s propose a new tax plan to Congress called Pay to Stay, Not to Go Away! 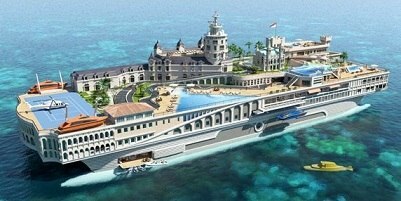 In case this doesn’t work, I have a plan to establish a new nation on a rising volcanic island or a sea platform. It keeps looking better all the time. With a few wealthy sponsors, I should easily be able to fund its development and settlement. Anyone who is willing to pay a tax to leave the country probably has enough to invest in a better alternative. I’ll call my new nation Atlas and the national salute will be a shoulder shrug. When Elon Musk gets his rockets working a little more reliably, we’ll move it to a platform in orbit and then to Mars. 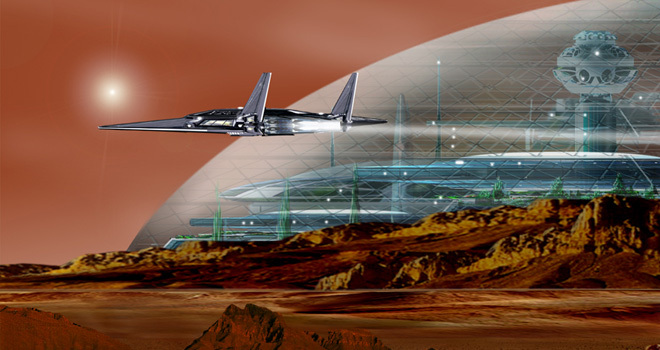 This entry was posted in Government, Taxes and tagged americans renouncing citizenship, Elon Musk, Elysium, expatriation tax, mars colony, Seasteading on January 29, 2015 by EarthVisitor. 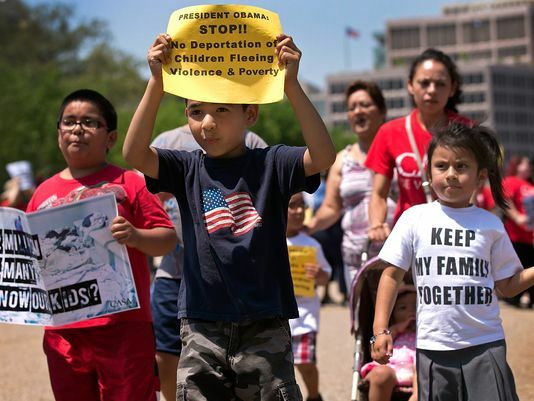 Across the nation, the children of undocumented (i.e. illegal) immigrants are reportedly upset that they are being denied benefits that most citizens enjoy, such as student loans and scholarships, clean air and water, relatively good health care (even if it is just the emergency room), just because they can’t get a social security number (or benefits, for that matter). So sad that they have to suffer when it wasn’t even their choice to come here. Boo hoo! Their parents were responsible for ripping them from their homeland only to suffer here as fugitives from the law, unable even to pay taxes to pay for the services they are able to enjoy, like their entire primary and secondary education! They didn’t ask to live here and would have been just fine where they were born, but now that they have grown and made friends here, it wouldn’t be fair to send them home–so sad. OK, I am being sarcastic, but it also really is sad. Poor things. But what are we to do? Send them all home? Give them all amnesty, thus encouraging millions of other potential immigrants to cross the border illegally? Ignore the problem as long as we can while doing nothing (Congress’ preferred solution)? Wait, I have an idea! Actually, it was my wife’s idea and I’ve got to give her credit. It isn’t exactly the same as amnesty. Well, OK it sort of is a kind of amnesty, but it’s much better than the regular “bend over and let the taxpayers take it” kind of amnesty we are used to. Also, we could really use the money–especially in California. We can call it the “Pay to Stay” program. The idea is to calculate all the benefits these children and their parents enjoyed for free the entire time they lived here, including all taxes and fees they would have had to pay, compounded interest, and a little “processing” fee (call it a penalty if you want) for not doing things the legal way. That number, whatever it is, will be the price they have to pay to stay in the country. Being the good capitalists we are, we’d have the parents and children all co-sign the note and would be happy to roll it into a 30-year payment plan at a relatively low rate of interest. It might sound like indentured servitude, but it’s really just a payment plan for back taxes. For the rest of us, there is no getting out of taxes, even after bankruptcy. So, why should it be any different for illegals? Think anyone would pay to stay? Just ask the Canadians how much they charge international students to live temporarily in Canada and study in their schools (secondary schools too, not just colleges). They charge big bucks and the foreigners just keep coming. 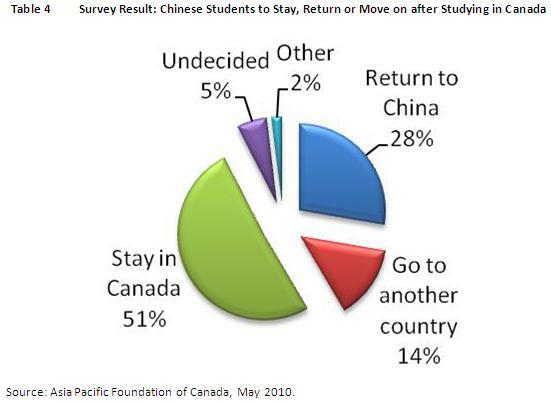 And, by the way, most foreign students are from China and most of them stay in Canada after graduation. So, Canada’s immigration problem consists mainly of paying, educated foreigners who are legally accepted into the country, not freeloading, unskilled workers illegally crossing the border, as is the case in the USA. 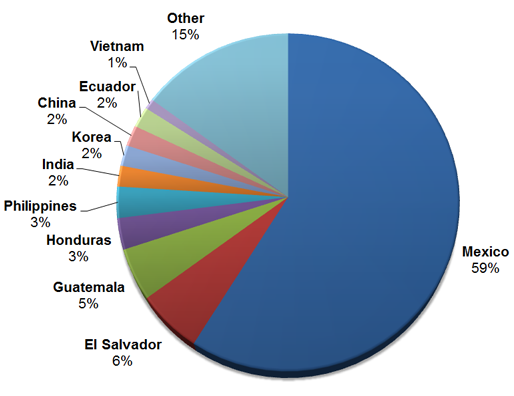 I have nothing against immigration in general or specifically against poor immigrants from Mexico or Central America. This country was built by hard-working immigrants from all over the world and has been sustained by a constant stream of ambitious, innovative, workers coming here to build lives for their families that they are unlikely to be able to achieve in their native lands. However, if our own illegal immigrants don’t want to pay to stay, then we probably don’t want them. I’m sure someone else would be happy to come to the US and pay their way instead of living off of the growing welfare state. Is it really too much to ask that someone pay their fair share of the tax burden? What if they just don’t make or save enough money to pay their taxes? Another reason not to let them stay. We have enough lazy Americans living off welfare and other public services, so we don’t need more non-productive foreigners. However, I’m optimistic. This country was built by hard-working, innovative immigrants. I’m sure that we will continue to thrive if we just expect the same of future generations of immigrants. Come, work hard, learn the language, contribute to your community, and you may still achieve the American dream, even if many Americans have already given up on it. This entry was posted in Government and tagged amnesty, immigration reform, welfare state on January 23, 2015 by EarthVisitor. As we get ready to swear in the new 114th Congress, let’s take a few minutes to think about the system of government we have established and how well it has been working. Some of you are probably happy about the change in control of the House of Representatives, but all things considered, not much has really changed in terms of who runs the US government. The American Revolution was a watermark in human history as our founding fathers effectively began a great human experiment with a new form of democracy. The implementation of separation of powers and checks and balances in the form of executive, legislative, and judicial branches of government, were not the only innovations. The establishment of the trial by jury system was not only a symbol of democracy, but a superb solution to the problem of crime and punishment. It had been evolving over time as a part of English common law as well as jury systems in other parts Europe and elsewhere. They jury system was widely believed to work much better than the old systems of relying on a cadre of professional judges or a king and his ministers, to make decisions on civil or criminal matters. 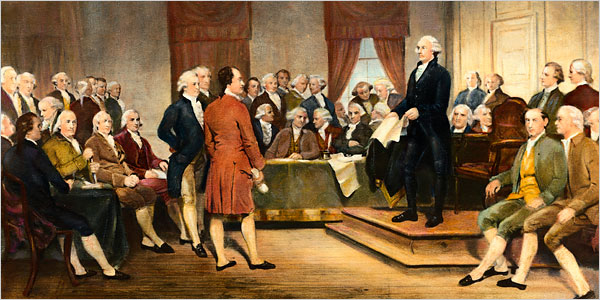 The creation of our elective system of representation was innovative, but not necessarily as democratic as we think or as effective as our founding fathers might have hoped. It turns out that we have seen our elective system turn into one where the vast majority of incumbent politicians are re-elected year after year, even though the public opinion of their performance is extremely low. Our politicians are widely believed to be beholden to special interests and focused mainly on getting re-elected by avoiding hard decisions because the necessary solutions may be unpopular. Most legislators are millionaires and/or attorneys who are simply not a representative cross-section of the country. Congress has developed a culture of corruption. Many have considered ways to make the system better, to no avail. Campaign finance reform has proven to be an ineffective joke, since the 1st Amendment, which guarantees our freedom of speech, effectively prevents any limit on campaign activities. 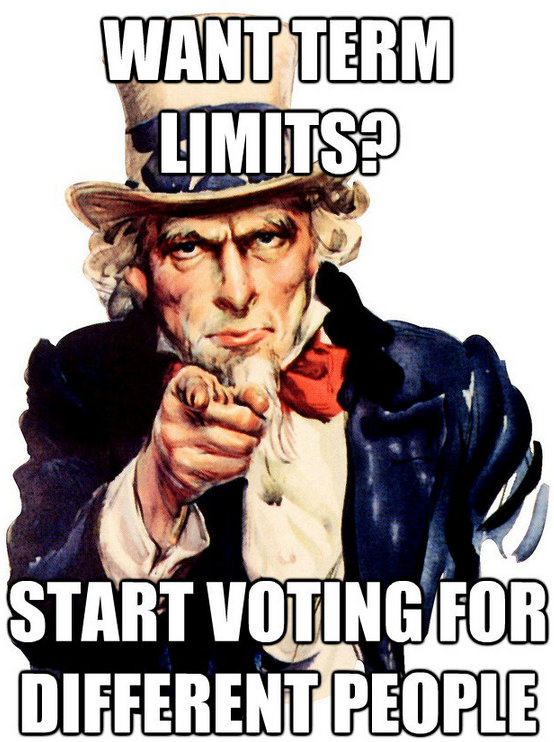 Even our founding fathers debated the usefulness of term limits, but declined to write them into the Constitution. Many states and local governments have implemented term limits, but it does not seem to have helped to change the nature of politics. I wasn’t sure there really could be any solution that would result in a body of leaders more committed to serving the country than to their own personal self interests. Then, a thought hit me. I wondered if we could just replace our current system for one that might even be considered more democratic and effective—one based on the jury system. Just think about what would happen if ordinary citizens were given the chance to serve in the state legislatures and Congress for a limited period of time. No professional politicians, just a cross-section of citizens from all over the country. Could they really do worse than the current elected officials we pay to do the job and to stay in office virtually for life? I know what you are thinking. What fool would put his life and the future of his country in the hands of a bunch of ordinary idiots? To that, I respond, what fool would put his life and the future of his country in the hands of a bunch of highly-paid, power-hungry, idiots? Are juries elected? No. Do they possess any special knowledge or expertise that ordinary citizens do not? No. Are they easily corrupted? No. Are they easily fooled? Maybe, but I’d rather take a chance with a well-meaning jury than a corrupt one. Besides, if the pool of people making the decisions is diverse and large enough, it is likely that the collective decisions will be even better than those made by an elite pool of professional politicians. I think that 100 senators and 435 representatives are enough to provide the required diversity and knowledge. 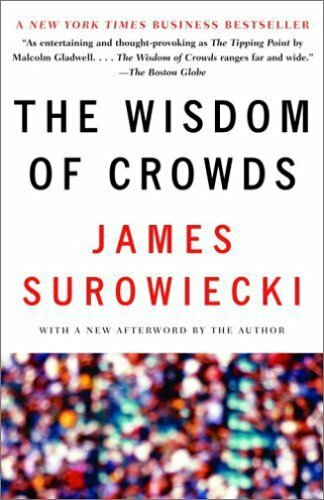 In the book “The Wisdom of Crowds,” James Surowiecki discusses many cases in which groups of ordinary people with limited knowledge can, collectively, make better decisions than experts. And those studies were comparing experts who were honestly trying to make the best decision they could, not corrupt ones trying to serve their own self interest, so I would expect the comparative results to be even better. After coming up with what I thought would be a great new idea, I discovered that I was, in fact, several thousand years behind the first democratic thinkers. Yes, the citizens of the first known democracy, the ancient Greek city state of Athens, had a system that worked in just this way. In the cities of Ancient Greece, the Boule was a council of citizens appointed to run the daily affairs of the city. It’s origin was from the council of nobles that advised a king, but boules evolved differently according to the constitution of the city. 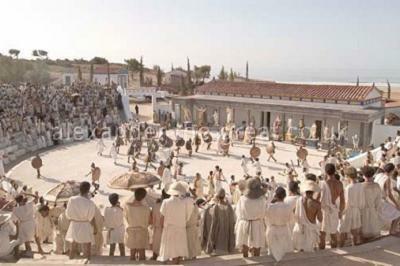 In a democracy such as Athens, members were typically chosen by lot and served for only one year. Little is known about the workings of many boulai (plural of boule), except in the case of Athens, for which extensive material has survived. An Athenian Boule was a randomly-selected 500-citizen council similar to a grand jury or citizens’ assembly. Any citizen had the right to propose initiatives and the Boule decided which issues were important enough to be on the agenda. This was followed by a majority vote of the entire electorate. This is the origin of the Athenian initiatives system, which they considered the incorruptible cornerstone of their democracy. 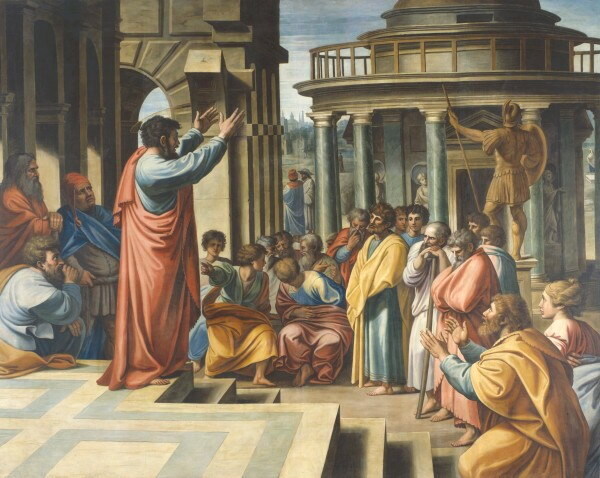 In ancient Athens, the Council of Five Hundred operated for 180 years. Archeologists did not discover critical Greek texts describing this until 100 years after the Founding Fathers wrote the US Constitution. Today, we live in a society a tad larger than an ancient Greek city state, so one would expect some slight modifications to their system. Interestingly, however, our Congress consists of 535 members, which is already almost the same size to an Athenian Boule. So, here is a blueprint for how it could work, although I’m certainly open to suggestions. If and when I manage to buy an island and start a new country, or maybe sign up to establish the first Mars Colony with Elon Musk, I’ll be sure to try out a Boule system. Any citizen at least 25 years old, without a criminal felony record, would be able to submit his name into a pool for legislative duty, which would last for only two years with no chance for a second term. Legislators would be paid a very good, but not exorbitant, salary of about $150,000 and would be provided free temporary housing near the state or national capital where they will be working. No pension, no special gold-plated benefits, and no chance of ever becoming a lobbyist. Legislators would have to sign a contract agreeing not to accept any contributions or gifts from anyone or to accept any post-employment job offers or other benefits. Two weeks before the election, five people for each available legislative spot would be chosen via a lottery. This is the essence of the jury system, but without the vetting process available to prosecution and defense attorneys. I had considered allowing the political parties to approve or disapprove of some candidates until they had an agreed-upon group, but figured that would just invite corruption and mediocrity into the system. So, to ensure there are sufficient checks and balances to the system, the lottery winners would simply undergo a criminal background check and be put up for public election. Each person would be encouraged to publicly declare his or her political party affiliation, if any, to state their position on any issues of interest, and participate in any debates. Since our current single-vote system does not work well for elections with more than two popular candidates, we should probably use a rank-ordering voting system. Instead of just voting for one candidate, voters would list all the candidates in their order of preference. 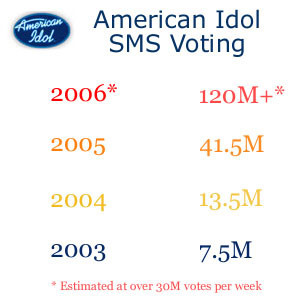 The candidates with the fewest number of #1 position votes would get eliminated, and the votes cast for them would be replaced with the voter’s #2 choice. This would continue until one candidate had a majority of the votes. The role of political parties would be limited, during the elections, to something more like a lobby trying to promote their preferred candidates. After the election, the legislators would be free to join any party of their choice, or to create their own new party from other like-minded legislators. The selection and election system would be simple, quick, and mostly random, but the resulting legislature as a whole should consist of a more representative body with a more diverse group of backgrounds, knowledge and experience than we have today. In other words, it would be a more democratic, and hopefully less corrupt, group of representatives. Furthermore, we should establish a national electronic voting and polling system to enable these representatives to put important questions up for national vote, or to take local polls to get a sense of their local area’s public opinion. Maybe this would help to turn around the low and falling voting participation rate in this country. 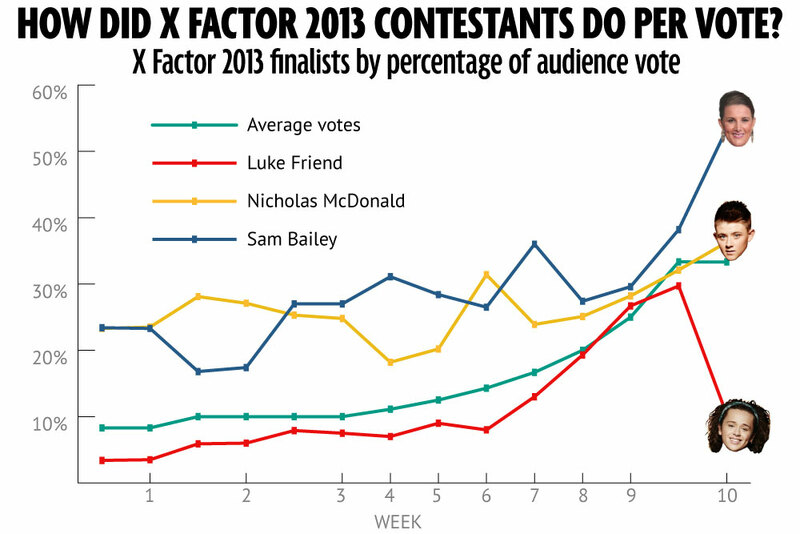 I suspect that more people now vote in TV talent shows like American Idol or the X-Factor than vote in US national elections. Some groups have already been trying to propose the establishment of a boule system. Is it likely to be implemented, considering that constitutional amendments must be approved by Congress or three fourths of state legislatures? Of course not! 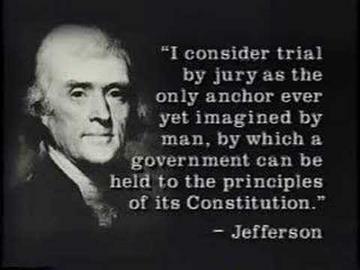 But it may be just crazy enough to work as well as our jury system. In fact, with some minor tweaks to the process, we don’t even have to amend the Constitution to make it happen. 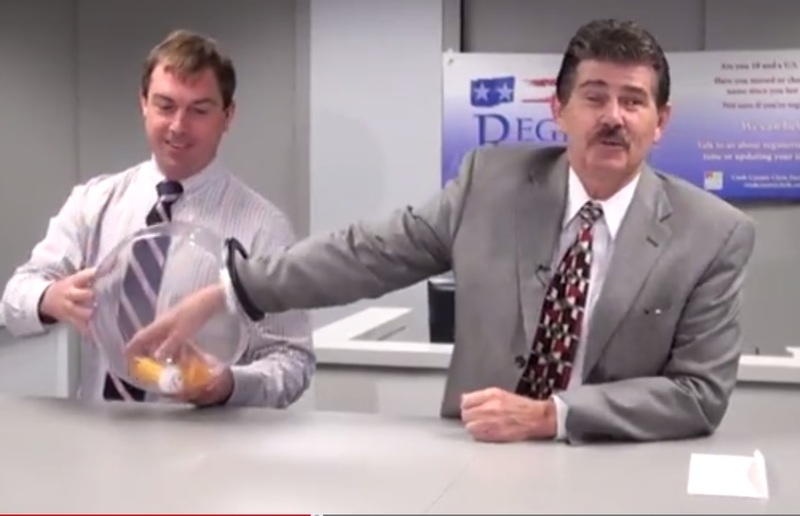 We just need some new political parties that agree to select candidates via a lottery system, instead of via a primary election or caucus (fat chance). Unfortunately, the current electoral system will probably ensure these candidates have little chance of victory against the traditional Republican or Democratic candidates in the general election. However, if a miracle occurred and all existing political parties agreed to select their own candidates by lottery, we would have a new electoral system that could transform our government. 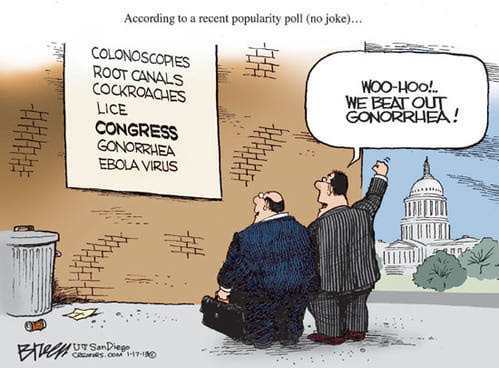 Until such time as the people become so fed up they are willing to take action, we are going to have to find other less-effective ways to deal with a corrupt, unpopular, Congress. Maybe a revolutionary group in some small country will overthrow their government and experiment with democracy using the boule system instead of establishing a new dictatorship. 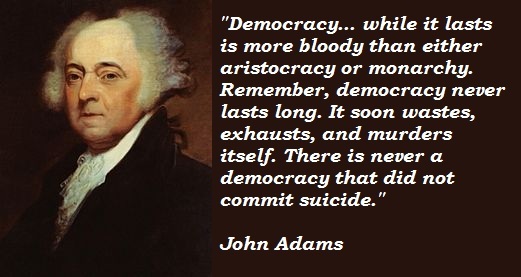 If not us, who will create the first new form of democracy for the 21st century? 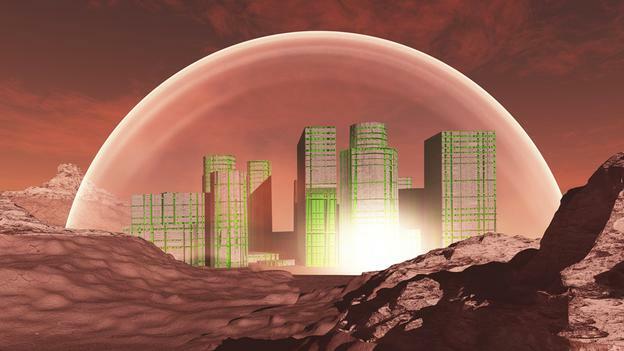 We may have to wait for the establishment of a constitution for the first Mars colony to start over again. I can dream, can’t I? This entry was posted in Government and tagged Athenian democracy, campaign finance reform, Congressional approval rate, corruption in congress, Elon Musk, mars colony, term limits on January 8, 2015 by EarthVisitor. 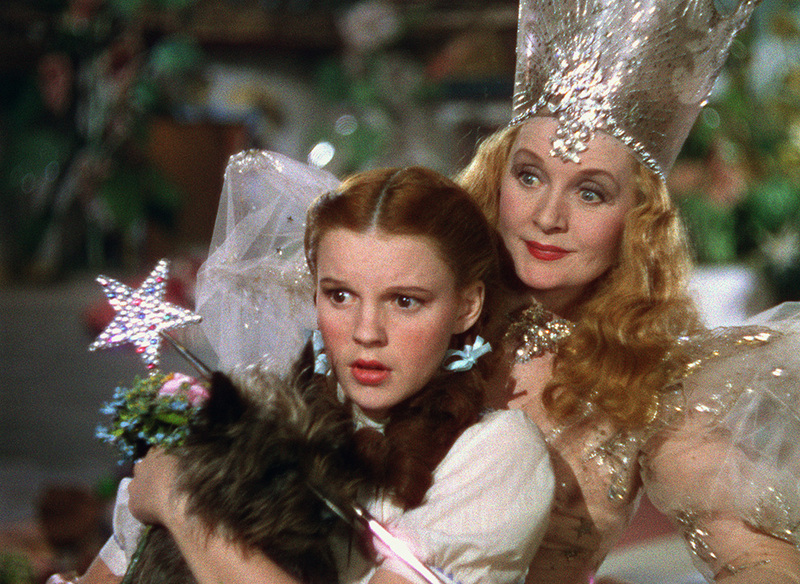 “Are you a good witch or a bad witch?” asked Dorothy of the Good Witch of the North when she arrived. You see, there are two kinds and you can’t always tell. When the Sherman Anti-trust Act of 1894 was written, it was under the assumption that all monopolies are evil and therefore act in ways that always hurt consumers. They failed to consider the possibility that a company could be a good monopolist or a bad monopolist. We now have our answer. After crushing traditional booksellers and establishing a dominant position in the market for books, Amazon.com released the Kindle e-reader, which has helped them to grab about 90% of the market for e-books. This is about as close to a monopoly as one can get. Only instead of taking advantage of this position to raise prices, they have actually lowered the cost of books for consumers to about $9.99 each. Who doesn’t like lower prices? Book publishers, of course. They have been unhappy about Amazon’s use of a wholesale e-book pricing model, which has given Amazon the power to set its own prices, even if they are at or below cost. While the publishers still get a royalty for each sale, this practice has encouraged consumers to buy e-books instead of higher-priced physical books, which has lowered publisher profits. 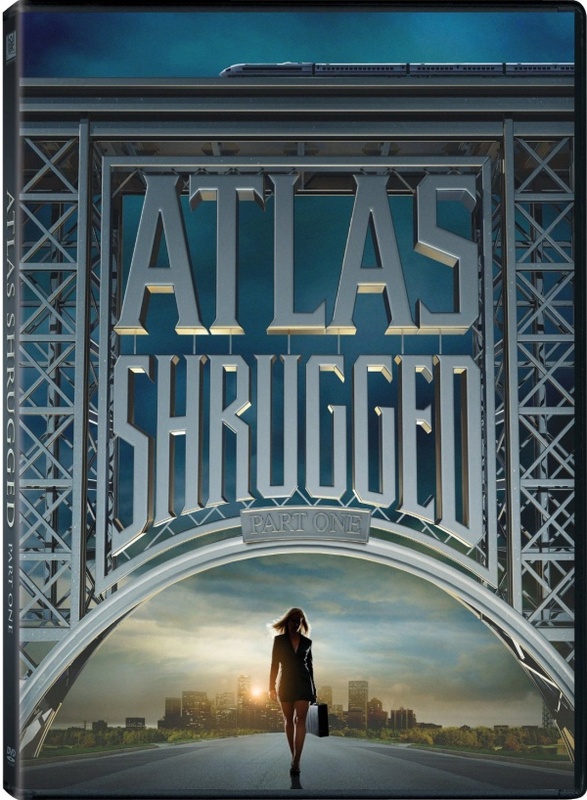 This was intentional on the part of Amazon, which has been willing to lose money to gain control of the e-book market. So, five of the largest book publishers allegedly tried to collude with Apple to switch to an “agency” model whereby publishers would have been able to set their own, presumably higher, prices. 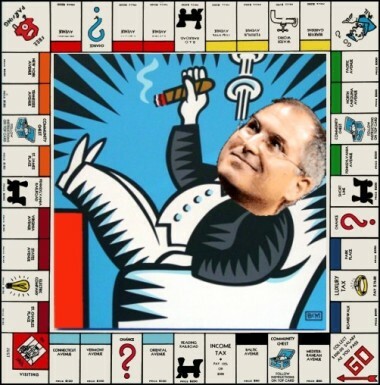 The US Federal Trade Commission brought an anti-trust suit against Apple and the book publishers, but ironically, the decision favored Amazon.com, the reigning monopolist. Apple contends that they did not care what prices the publishers set for content and just wanted to make sure no other retailer, such as Amazon.com, received a better wholesale price. It doesn’t even make sense that Apple would have tried to gain market share by raising prices. How do you encourage consumers to switch to e-books and gain market share over a competitor by selling the same product at the same or an even higher price? Apple apparently just wanted to make sure that no other retailer could get a better wholesale price. The publishers may have wanted their e-books sold at higher retail prices, but there was no way to guarantee that this would happen. One publisher even admitted that they were afraid Apple would just match Amazon’s low prices, leaving them no better off. Nevertheless, the FTC decided that the negotiations constituted collusion that was not in the best interests of consumers. In other words, monopolist Amazon.com was declared to be a good witch, but does that necessarily make Apple a bad witch? 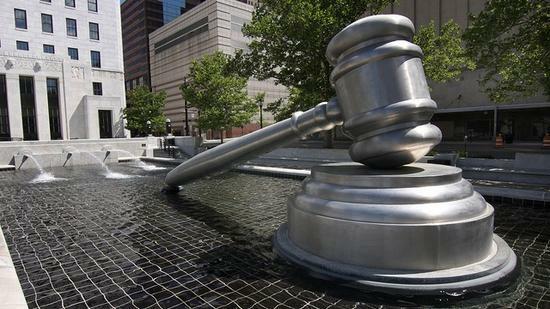 The real effect of this case may be to hurt competition, which will ultimately hurt consumers. Ironically, Apple did the same thing for downloadable music that Amazon.com did for e-books, which was to lower prices for consumers. Steve Jobs fought hard to change the business model that the music labels had held onto for so long in order to create the iTunes store where people could buy music for only $0.99 per song. He did so over the objections of music labels that wanted to keep the prices for albums high or set different prices for more popular songs. The lower prices on iTunes finally got many consumers to switch to digital music and to slow the trend to illegally share music online. But the music labels have been trying to break Apple’s near monopoly on digital music sales so that they could negotiate better deals with retailers. They turned to Amazon.com to try and break Apple’s monopoly, but instead of raising prices, Amazon has been allowed to lower them even further. I guess that makes both Apple and Amazon.com good witches. What about Google? 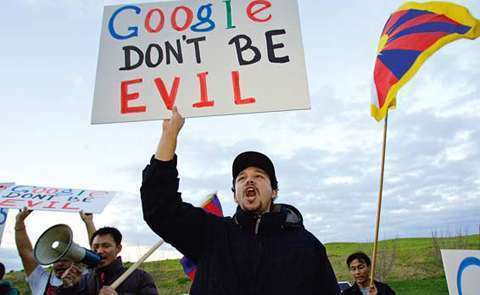 One of their most famous company values is “Don’t be evil.” Google’s Android phone operating system is the only real competitor to Apple’s IOS, but they give it away for free, along with tons of other web-based services, which are mostly funded by advertising. Google has stimulated competition in most of the markets it entered and has benefitted consumers greatly. People use their services because they are damn good! 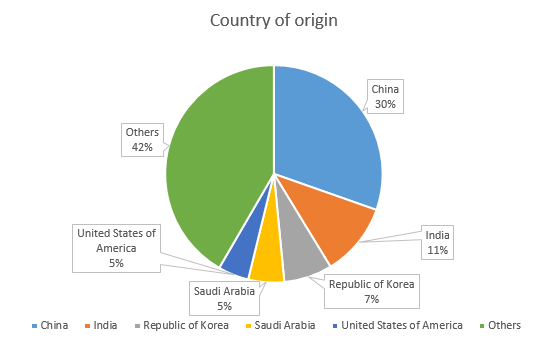 Google even refused to bow to Chinese pressure to censor web searches at great cost to their market share in China. Google must be a good witch too. 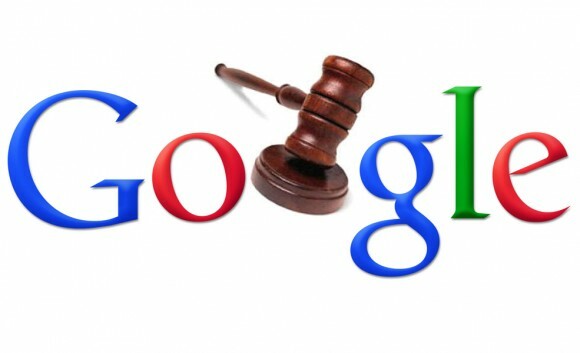 But that hasn’t stopped the FTC or the European Union Competition Commission from investigating Google for allegedly abusing its 90 percent share of the online Internet search and advertising market. The FTC already settled its case, with little to show for it. The EU still isn’t happy and wants Google to suggest ways to overcome their concerns. What is going on in the American technology industry? Aren’t there any bad witches anymore? I guess Microsoft was the last one, at least according to the FTC. Remember the long, drawn out anti-trust suit brought against them for bundling and giving away the Internet Explorer browser for free, which helped to destroy Netscape’s business? In retrospect, it doesn’t sound so evil. Maybe Microsoft was also a good witch after all. Sure, the millions spent on attorneys and time spent in court fighting the anti-trust case was probably a major hassle for monopolist Microsoft. But the case was more like an annoying insect that would not leave them alone than a major threat to their business. What has really hurt Microsoft has been the pressure put on them by the three new good witches. Sales of the Windows operating system are being crushed under the weight of IOS, Android, and the Kindle. Antitrust laws exist for the benefit of consumers, not as a tool to try and bring down market leaders or competitors. The following quote from the Supreme Court decision in the case Spectrum Sports, Inc. v. McQuillan states this clearly. Maybe it is time for the Federal Trade Commission, the Attorney General, and European Commission to step out of the way and let the good witches battle it out by themselves. No matter which giant monopoly wins or loses, consumers still seem to win. Government action seems to be more anti-consumer and an irrelevant, expensive, and distracting annoyance than anything else. This entry was posted in Economics, Government and tagged apple anti-trust case, federal trade commission, google anti-trust case, microsoft anti-trust case, Sherman anti-trust act on December 10, 2014 by EarthVisitor. I wrote this in a moment of excessive pessimism about the growing welfare state. It isn’t that I’m against charity for those in need or for funding of programs that benefit society as a whole. I just don’t think we can afford everything that people think they deserve–at least not yet. But I think (hope) that technology will eventually provide the means by which we can produce enough goods and services to meet everyone’s basic needs after the robots take all our jobs. But I predict that it’s going to get much worse before it gets better. 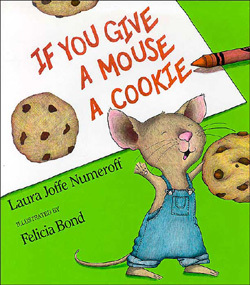 If you give a mouse a cookie, he will want a glass of milk. If you give him a glass of milk, he will also want a free supply of cheese. If you give him free cheese, he will want a free school lunch to go with it. If you give him a free school lunch, he will want a scholarship to go to college with you. 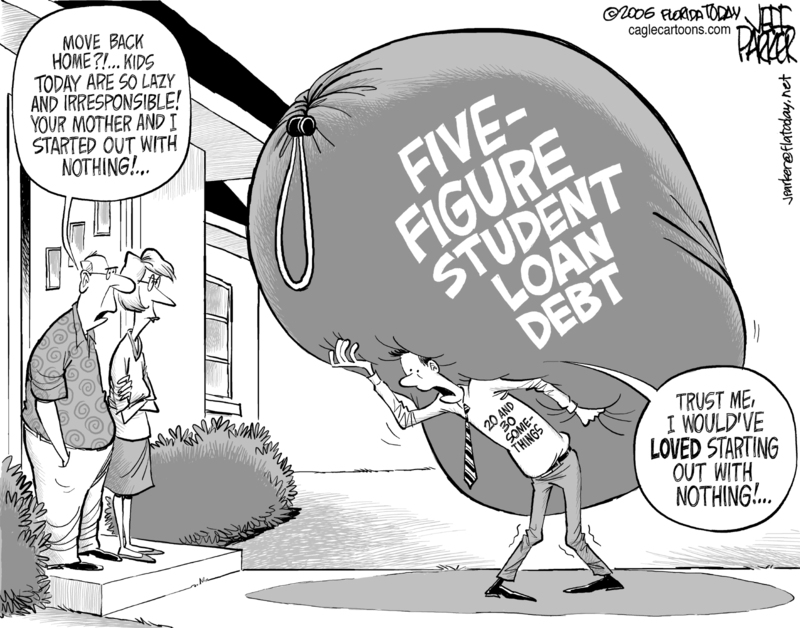 If you give him a scholarship, he will soon want forgiveness on his student loan so he can get out of debt. If you write off his student loan, but he still can’t find a job because he studied the History of Cheese, he will want extended unemployment benefits. If you give him extended unemployment benefits, he will get sick and tired of looking for a job and will want disability benefits. If you give him disability benefits, he will want free health care to ensure he and his little ones stay healthy. If you give him free health care, he will want subsidized housing to get out of his dirty little mouse hole. If you give him subsidized housing, he will also want a full exemption from income taxes. If you give him a full tax exemption, he will also want a child care credit to help take care of all his little mice. If you give him a child care credit, he will still want social security benefits. If you give him social security benefits, he will want amnesty so he and his mice can finally become citizens. If you grant him amnesty and make him a citizen, he will want to vote. If you let him register to vote, he will want to increase taxes on the rich and middle class workers to pay for all of his benefits. If you promise to increase taxes for everyone else and increase his benefits, he will vote for you and will live happily ever after. If he lives happily ever after, his children will have to deal with the eventual economic collapse, but who cares? It’s not his problem. This entry was posted in Economics, Government and tagged free lunch, if you give a mouse a cookie, welfare state on November 25, 2014 by EarthVisitor. Should family members be imprisoned for the crimes of their relatives? Of course not! That kind of crap happens in North Korea and other dictatorships, but not in the good old USA. Should family members be forced to pay fees or have their property seized for the crimes of a family member, or even when nobody is charged with a crime? Of course not! What if it helped to win the War on Drugs? Not even then. Most Americans oppose the seizure of property without a conviction, but I’m sorry to tell you that is exactly what has been happening. 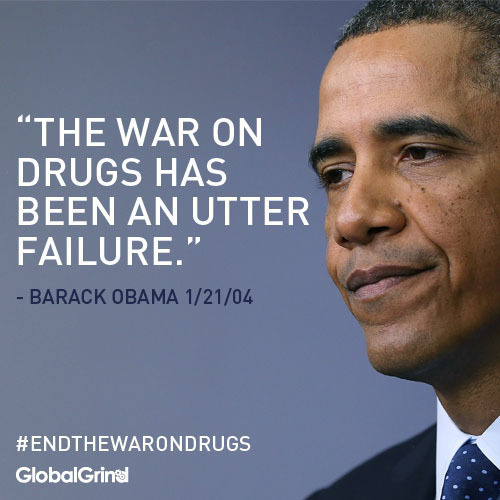 Oh, and by the way, many Americans also believe that the war on drugs has been a failure that has done nothing but cost us $1 trillion, resulted in 45 million drug-related arrests, and left 2.3 million citizens in prison. For years, the families of prison inmates have had to pay exorbitant rates for phone calls with their loved ones in jail. I can hear some of you now—tough luck. 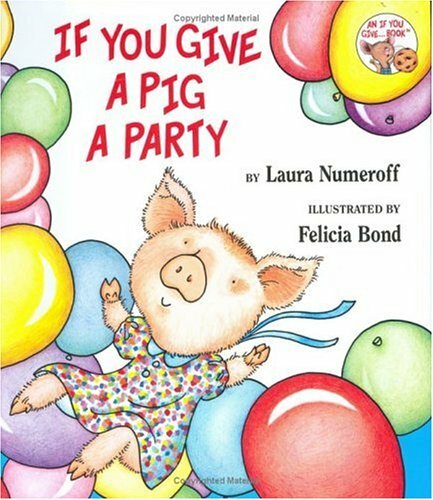 “If you do the crime, you have to do the time.” Sure, but this isn’t about crime and punishment. This is about the people who didn’t do the crime, but are still paying a needless price for that crime. It is about mothers, fathers, brothers, sisters, sons, daughters, husbands and wives, among others. In other words, it is about ordinary Americans who did nothing wrong and just want to have some kind of contact with their incarcerated relative. But our government has treated this as an opportunity to generate a profit. For years, phone companies were allowed to charge over a dollar a minute in a country where the cost of phone calls has plummeted to nearly nothing. 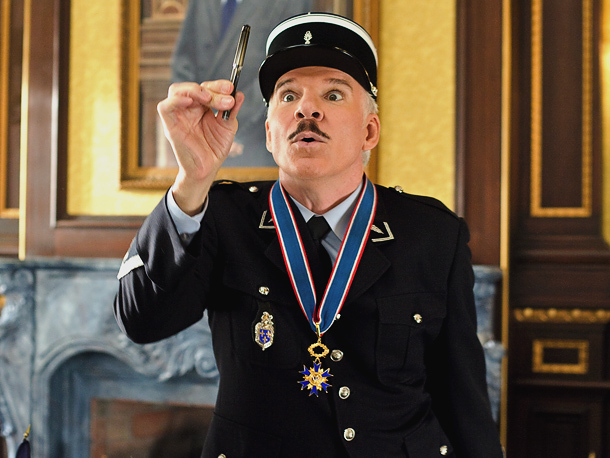 In the case of Internet phone calls, the cost really is nothing. Finally, in early 2014, the FCC imposed rate caps of $.25 per minute for debit calls and $.21 for collect calls. It is still probably too much, but is a huge victory for what was, in essence, a financial penalty imposed on the families of prisoners. Why did these rates ever exist in the first place? I’m sure you can guess the answer. The correctional institutions chose telephone service providers that offered commissions, aka kickbacks. Yes, they shared in the profit and used it as part of their budget. So, the prison system helped to finance itself by charging the families of the inmates. Sounds like a minor issue, but it isn’t to the families involved, who often cannot afford the phone calls. But it is more than just the cost that bothers me. It’s the principle of how we treat our citizens, whether they are in jail or not. The phone companies and the prison system colluded to make this happen, over years of objections from the families. Why didn’t Congress do anything to stop this? What politician wants to stick up for the rights of prisoners? Apparently, few to none. Sure, our founding fathers thought enough about the issue of crime and punishment to include a prohibition on excessive fines and cruel and unusual punishment in the Eighth Amendment to the Constitution, but apparently no current politician was willing to face this issue. So, my hat is off to Commissioner Mignon Clyburn, the unelected Chair of the FCC, for listening to the families and finally changing the regulations, even though they had to fight the telecommunications companies in court when they tried to block the new rules. Congress should be ashamed of itself, once again, for ignoring an issue affecting some of our most vulnerable citizens. This case shows that Congress cannot be relied upon to stand up for the rights of all citizens. But there’s more. In just two years, Philadelphia law enforcement authorities have seized the homes or cars of almost 500 families. The law allows them to seize property that is connected to the sale of illegal drugs. If anyone within the house is charged with the sale of illegal drugs, including a child or a visitor, the government is legally able to seize the house, even if the owners had no knowledge of the illegal activity. They can even seize a car that a person drove away in after committing the crime of shoplifting. In some states, the property owner has to be convicted of a crime before the assets can be seized, but this is not the case in all states. Pennsylvania has been very aggressive when it comes to seizing the assets of innocent citizens. A 2014 Washington Post investigation has found that thousands of motorists and others have also had property seized. Some have even had property seized even though they were not charged with crimes, and have been forced to go to fight in court to get it back. The Justice Department’s Equitable Sharing civil asset forfeiture program allows the government to take cash and property without pressing criminal charges and then requires the owners to prove their possessions were legally acquired. That’s right, it sounds a lot like a complete disregard of our Fifth Amendment rights. It is like search and seizure of property without due process of law. As you might imagine, most Americans strongly believe that someone needs to be convicted of a crime before their property can be seized. They also don’t like to pay taxes to fund an unwinnable war that is partly being financed by violations of our constitutional rights. I’m afraid I don’t have any good news to end this post. The government can seize your stuff even if you didn’t do anything wrong. Sounds like another reason to try and roll back the growth of government and end the war on drugs. 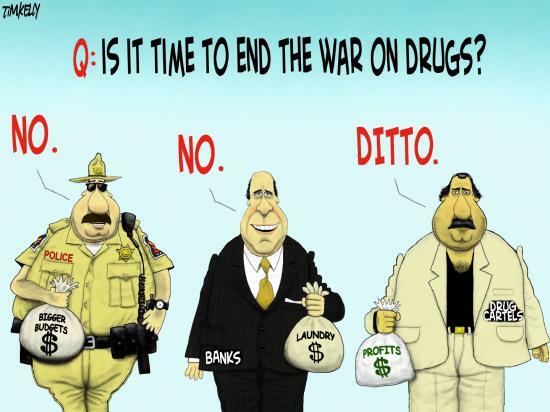 Who Wants to End the War on Drugs? NOTE: This post was originally a guest post on the Nonsense & Shenanigans blog. I’m including this copy so that it can be edited, as needed, in the future. This entry was posted in Drugs, Government, Privacy and tagged asset forfeiture, due process of law, eighth amendment, failure of war on drugs, fcc rate caps, fifth amendment, prison phone calls on November 12, 2014 by EarthVisitor. 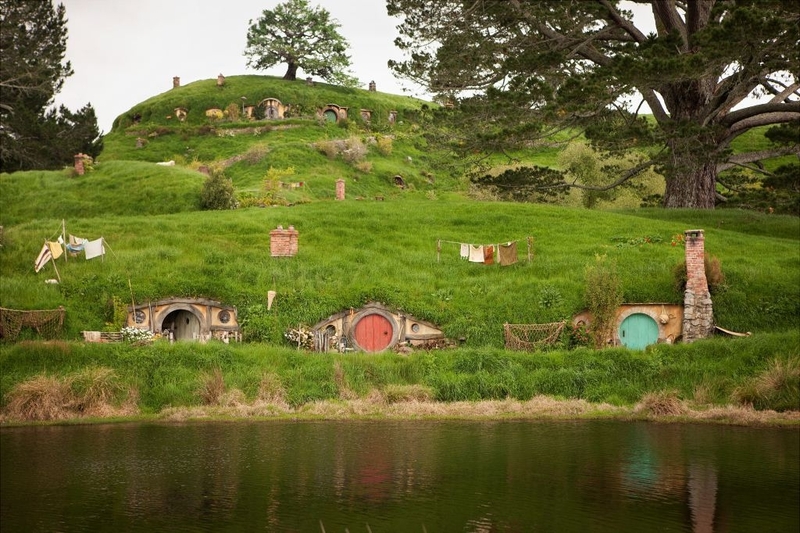 News spread quickly through the Shire today as the inhabitants received word that the central government will not apply the new Rain Tax to their hobbit homes, provided that they continue to bury them underneath the ground and do not pave their porous dirt and rock roads. To date, Maryland is the only state to impose the rain tax, otherwise known as the Stormwater Remediation Fee, to home and business owners who have “impervious units” of surface area that is claimed to contribute to the problem of contaminated water reaching the Chesapeake Bay. 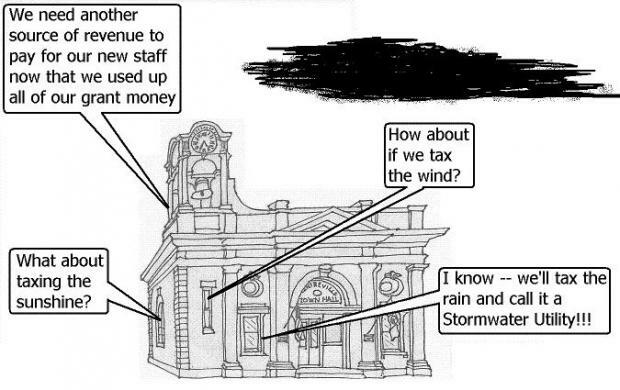 The rain tax permits counties to impose a tax based on the square footage of buildings, driveways, or other man-made materials that do not allow rain to be absorbed into the ground. Not all counties in Maryland are affected and some charge more per impervious unit than others. The debate continues as to whether or not Rivendell should be granted a similar tax exemption. While it clearly does possess many impervious units of surface space, most of it was constructed off the sides of a mountain waterfall, extending from steep inclines. The elves claim that their structures have had no impact on the environment, including the purity of the water flow, and that they are not responsible for any man-made problems. To date, Minas Tirith has been the most severely affected by the new tax. Although it covers a relatively small horizontal space, it consists of 100% impervious units and has been proven to cause a massive water runoff problem in the valley. 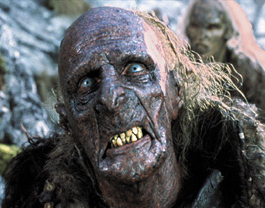 On the bright side, some say the stench of the runoff of human and animal excrement, not to mention decomposing plant and animal matter, is enough to kill an orc! Yuck! 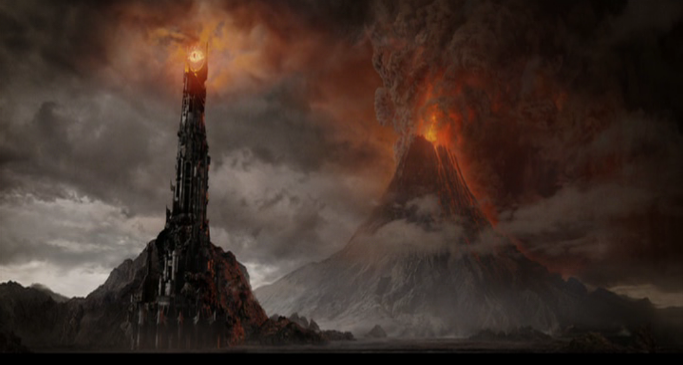 Legislators had been expecting a bit of blowback from Mordor, but aside from a bit of smoke and rumbling, the fortress has so far been unexpectedly quiet. This entry was posted in Environment, Government, Taxes and tagged and now you know the rest of the story, impervious unit, Minas Tirith, paul harvey, Rain Tax, Stormwater Remediation Fee, Stormwater utility, The Shire on November 11, 2014 by EarthVisitor. Some people consider baseball to be a slow game. A hitter can stay in the batters box indefinitely if he keeps fouling off the ball. There is theoretically no limit to how many pitches he can use up until he either gets on base or gets out, but the current record is 20 pitches for a single at bat. The pitchers end up getting frustrated and tired and the fans do too. What would happen if players only had two swings in which to hit the ball? Not two strikes–just two swings. I think they would probably try and make them as productive as possible. If nothing else, the game would move along quite a bit faster. What does this have to do with politics? Maybe nothing or maybe everything. From what I’ve read, most American voters now support the concept of term limits for elected office (usually 75-80% in polls), but it is very difficult to get legislators to legislate themselves out of a job. Even New Yorkers favor re-imposing term limits after Mayor Michael Bloomberg managed to get the city council to extend the term limit from two to three years in spite of two voter referendums in 2008. 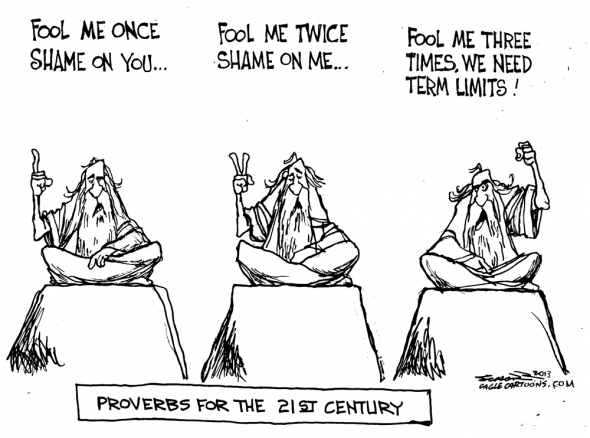 Why should we wait for legislators to approve term limits? 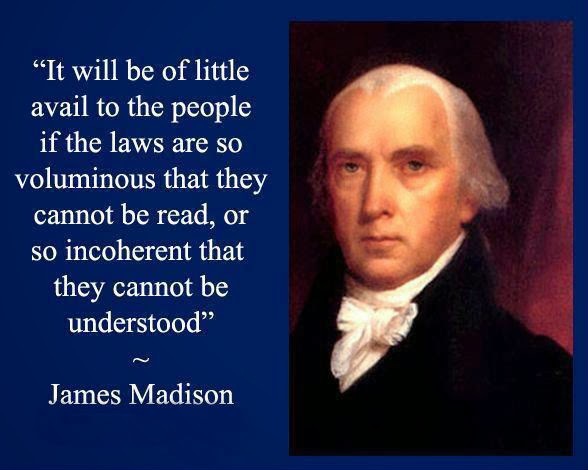 We the people can decide if we want term limits and we don’t need a law to make it happen. If enough candidates for public office stand up and pledge to hold themselves to term limits, the pressure will build until it becomes common practice, the expected norm, a defacto standard, or whatever else you might call it. So, I’m asking all candidates for public office to take a pledge to voluntarily limit themselves to 1-2 terms in office. For the US Senate, I would say 6 years (1 term) is enough. For the House of Representatives, 4 years (2 terms) sounds like enough. After that, they have to agree to take the same amount of time (1-2 terms) off before running again. Why do I support term limits? During the first 150 years of this country’s history, term limits were unnecessary. Turnover in the U.S. House of Representatives was routinely over 50 percent and short terms kept representatives relatively responsive to the public. Over the last few decades we have experienced reelection rates averaging over 90 percent (including voluntary retirements), creating a class of career politicians who have insulated themselves from the public will and who have grown less and less representative of the people and more dependent on special interests who offer fringe benefits and campaign financing. This is often blamed on the high cost of running a campaign effective enough to challenge an incumbent’s name recognition. Ultimately, however, it is the fault of American voters, most of whom are too unmotivated to learn enough about the candidates to make an informed decision or even to vote at all. This is why educating our kids to understand American history and to be good citizens is so important. However, since we can’t quickly or easily change the knowledge and behavior of voters, we can at least try and level the playing field by making it easier for someone new to run for office. Term limits will help to discourage people from becoming “career politicians” and make it easier for ordinary private citizens to run for office. It isn’t a perfect solution, and does not guarantee better results, but I think it is better than what we have now. To discuss more about the pros and cons of term limits, I would like to debate three distinguished Americans who have opposed term limits. Fortunately, I have found a way to travel backwards through time to make this possible. I’m asking that every candidate for public office make some kind of public written statement committing themselves to no more than 4-6 consecutive years (1-2 consecutive terms) in office. This can be on a blog, a web page, in their campaign literature, or anyplace else they care to publish the pledge. I’m also asking voters to stop voting for politicians that exceed the desired term of office. The very survival of our democracy as an effective form of government is at stake. Do I believe this will actually happen? No. Do I think it will work as intended? No, but it’s a start. To actually effect real change, we also need to reduce the power of elected officials to grant favors to special interests. This entry was posted in Government and tagged professional politicians, term limits on November 6, 2014 by EarthVisitor.